Running Powershell Scripts on local machine is so easy. You just need to change ExecutionPolicy in the Powershell. Powershell Execution Policies are used to prevent unauthorized scripts from running. They provide security for the scripting environment. - Unsigned scripts can run. warning you that the file originated on the Internet. - Risks running malicious scripts. For us to learn, we will use the ExecutionPolicy "RemoteSigned" to run Powershell scripts without digital signatures on the local machine. File C:\Users\Jagadish\Documents\Scripts\List_5_Running_Services.ps1 cannot be loaded because the execution of scripts is disabled on this system. Please see "get-help about_signing" for more details. As you can see in the above code, the current ExecutionPolicy is "Restricted". "Restricted" ExecutionPolicy is the most secure policy, and is the default. It permits individual commands, but does not permit scripts to run. So to run our scripts without digital signatures, we need to change it to "RemoteSigned" Policy. Users running Windows XP or Windows Server 2003, may not get the above error as most users login with administrative privileges. 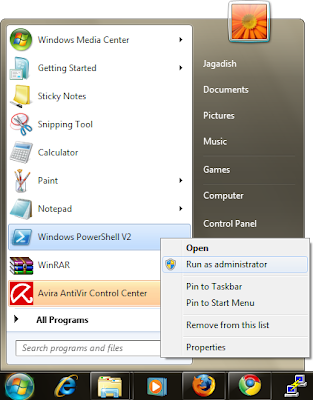 In Windows Vista/7, this changed with the advent of User Account Control. Unless explictly requested, processes started by an Administrator account will run as a standard user and not Administrator. It sounds to be quite effective scripts to prevent unauthorized scripts from running. It looks like digital signature plays major role for preventing it from any kind of unsecure or you can say unauthorized scripts. It solved my problem! Thank you very much! บาคาร่า A fun and entertaining website that will give players the option to play at their own pace. Do not waste time. To bet well There are gamblers to choose from. Enjoy the fun. Online games that everyone choose. Make a good profit every area. Make more money. Gambling can be good at any time. In addition, it is interesting to mushrooms. Mushrooms are good in nature. It is widely cooked. A variety of properties, such as vitamin C, and then prevent gum disease. Scurvy Volvatoxin helps prevent the growth of the virus that causes influenza. Helps reduce blood pressure. Nourish Helps digestion, maintenance blood, heal liver, heat in the bruise.